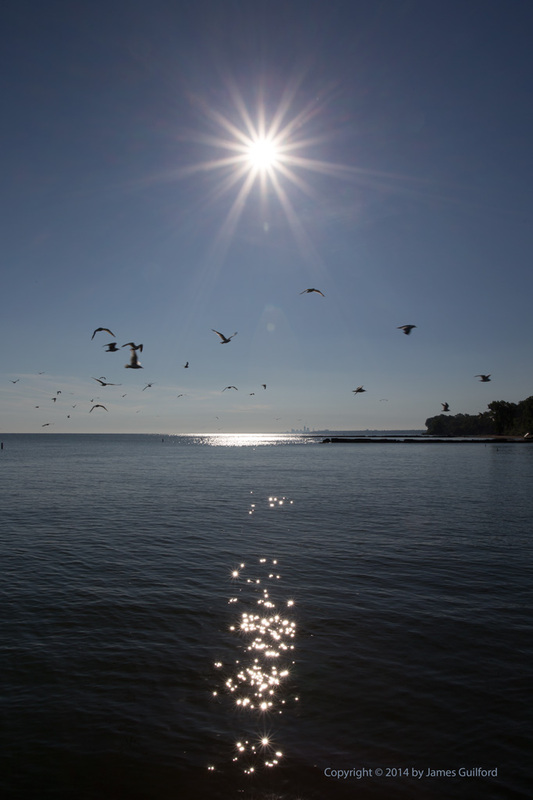 Down at the Lake Erie shore the sun shown brilliantly over calm waters, the sky was clear and blue, and gulls gathered on the breakwall. Moving a bit too close for their comfort, I scared up half of the gathered flock. The birds took flight to the west but soon circled around to the east, then south, and into my shot of the morning sun and diamond waves. At first I was a little annoyed at the presence of so many little black dots. Quickly, however, I realized the beauty of the flock against the sky.